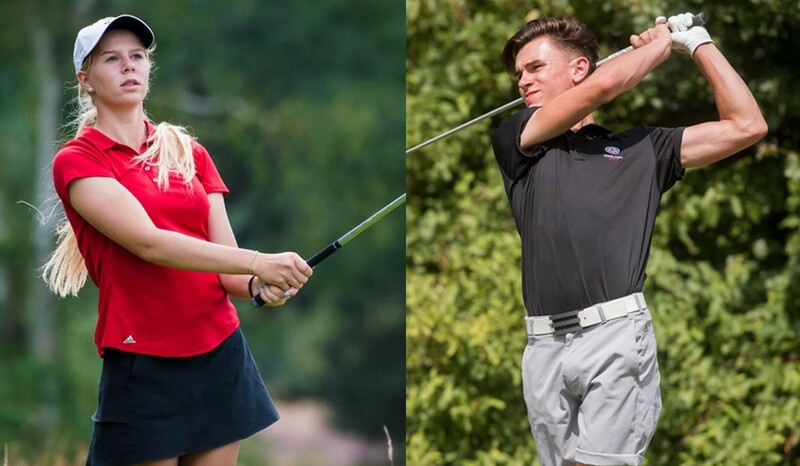 England teenage internationals Conor Gough and Annabell Fuller pulled off a national double when they won the individual titles at the Major Champions Invitational at Bella Collina in Florida. Gough was 15-under in the boys’ event, while Fuller was 11-under in the girls’ championship. The event, in its second year, was created by six-time major champion Sir Nick Faldo to give opportunities to young golfers. It was supported by 18 major winners including England’s Georgia Hall, the Women’s British Open champion. Hall was represented by a team of four: Gough (Stoke Park, Buckinghamshire), Fuller (Roehampton, Surrey) and fellow England player Lily May Humphreys (Stoke by Nayland, Essex), alongside Switzerland’s Alexis Valenzuela. Together they were runners-up in the team event, on 26-under, three behind Annika’s team. Gough, 16, the British Boys’ Champion, shot scores of 68 65 68, playing the final five holes in two-under par to finish three clear of the USA’s Andrew Goodman. Defending champion Tom McKibbin was third on 11-under. Fuller, a Curtis Cup player, snatched a one-shot victory over Korea’s Jung-Min Hong when she birdied the last hole and her opponent bogeyed it. The 16-year-old had rounds of 68 69 68.